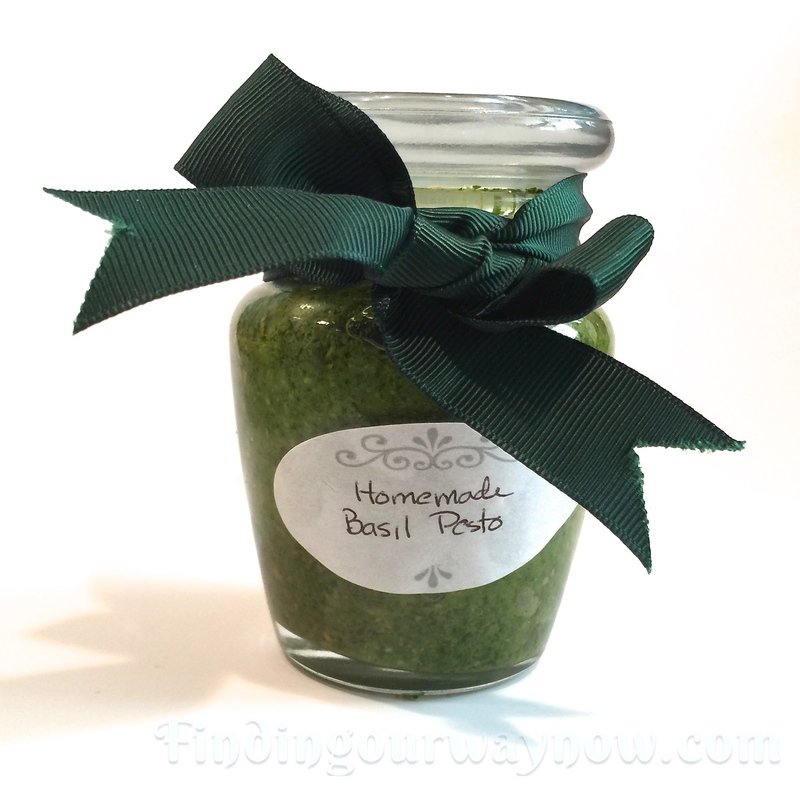 Well, I made a whole lot of my delicious pesto for the holidays. 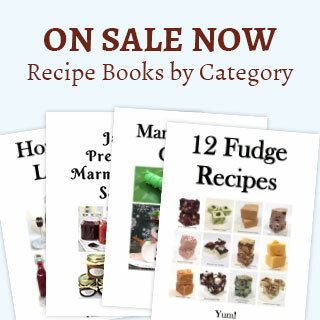 I gave a bunch of jars to my taste testers and passed out more to my neighbors. I needed to figure out some simple, creative ways to use what I had left over. 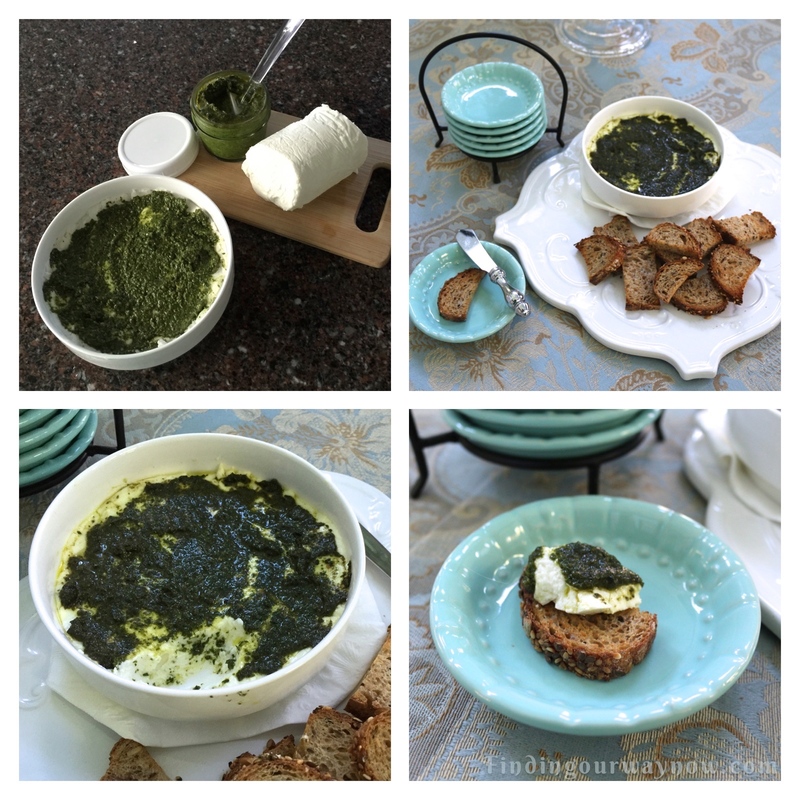 One of the ideas I came up with was a warmed pesto on goat cheese for an appetizer. Not only does it look pretty, but it’s nothing short of scrumptious. Preheat your oven to 300° F. Meanwhile, bring your goat cheese to room temperature. Press the goat cheese into a 6-inch small round baking dish. Spread the pesto on top, enough to cover the goat cheese. Bake for 12 to 15 minutes. Serve immediately with crostinis or crackers. Notes: When warming your pesto on the goat cheese, check to see when the cheese just starts to melt. The idea is to warm it through, not bake or brown it. You can always substitute store bought pesto. If you do, taste it; you may need to add a bit of grated Parmesan cheese, salt and pepper to increase the depth of flavor. 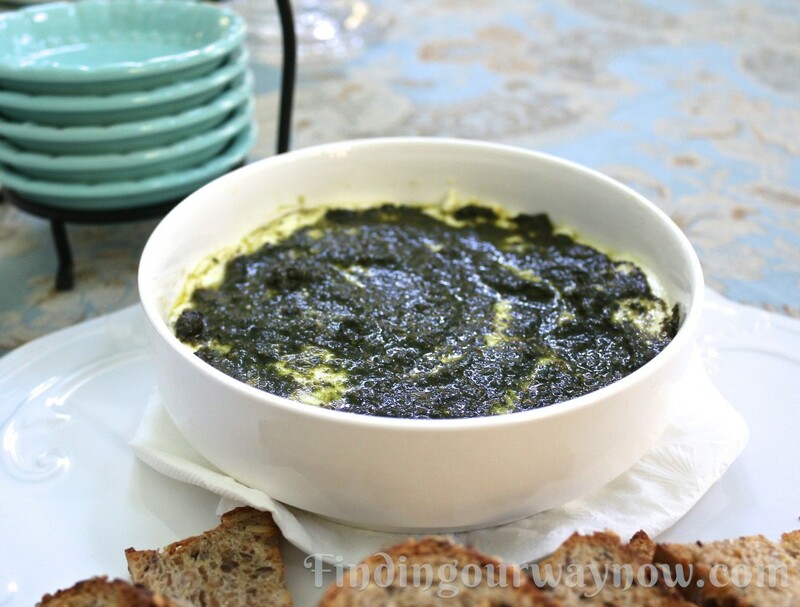 My warmed pesto on goat cheese appetizer was a huge hit. 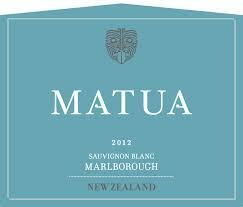 Matched with a Matua Sauvignon Blanc, it disappeared in a flash. The good news was I had enough to make another one, and it too went in no time. What I love about this super simple appetizer is it would make a great dish as a hostess gift for a dinner party or potluck.